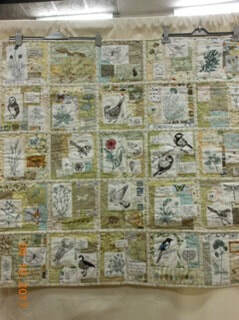 This was one of many comments made at the Icknield Quilters show on 7th and 8th October. Icknield Quilters have been running a patchwork and quilting group in Baldock for 25 Years and marked the occasion with an exhibition of their work at St Mary’s School. Many visitors came from far and wide to see what the skilful ladies have been up to since their last exhibition and they were not disappointed. 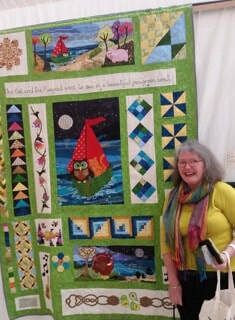 Many positive comments were received such as: “A lovely varied selection of work from very talented quilters”, “A very good exhibition, I now have lots of ideas”, that it made the effort of organizing the event worthwhile. On display were nearly 80 items including 40 large quilts together with some beautiful miniatures plus a selection of baby quilts that the group makes for the Neonatal Unit at Lister Hospital. To our delight two babies, that were recipients of these quilts, brought their parents to visit us over the weekend to show off their quilts too! A range of hand-crafted items were on sale, with Christmas pieces being particularly popular, as well as the second-hand book stall. Fabric was available to buy from Flying Goose fabrics who had travelled up from Wales for the weekend, having traded previously in Willian. 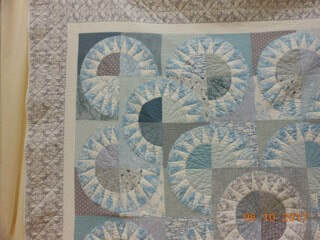 The raffle of quilts was extremely well received and testament to the generosity of the members of the group for the time, effort and skill that was put into producing them. Proceeds from the sale of the raffle tickets will be given to two local charities Al’s Café and Teens Unite. Sue Rainbow, Chairman of Icknield Quilters, which meet at Baldock Community Centre on the second Monday of each month, said "We are very grateful to St Mary’s School for allowing us to use their premises over the weekend and for being so accommodating to our needs." 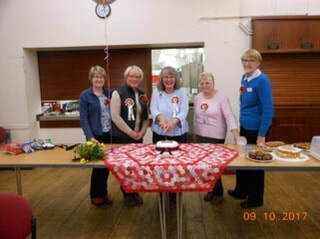 The celebrations concluded on Monday evening with the cutting of a birthday cake, by the present and past chairs of the group. 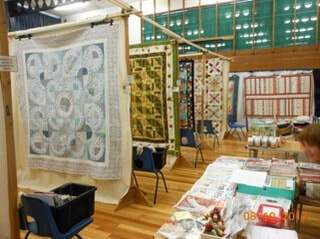 Icknield Quilters exhibitions are not only held to promote patchwork and quilting and share our members quilts with the visitors, we also raise money for local Charities, this year our choice of charities were the Al’s Cafe who support carer’s looking after their loved ones that are suffering from all types of dementia including Alzheimers and Teen’s Unite Fighting Cancer who is dedicated to improving the lives of young people aged 13-24, with cancer and other life limiting illnesses. 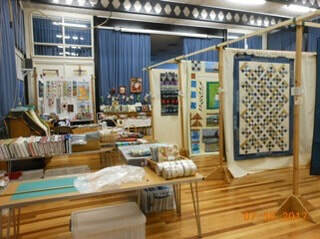 We held a grand quilt raffle and a bag raffle this year to raise as much funds as we can.